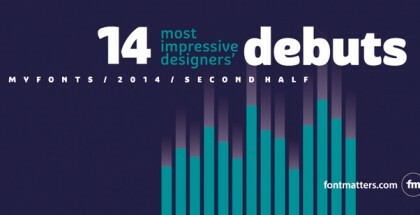 2013 was definitely an exciting and inspiring year for both font users and font designers. We saw many excellent typefaces by the old players and some awesome entries by the new type designers. As we all know every first step, every newborn idea and young artistic creation needs its friends and support, that’s why Fontmatters decided to pay a tribute to all these debuting designers and their most memorable typefaces released on Myfonts.com through 2013. 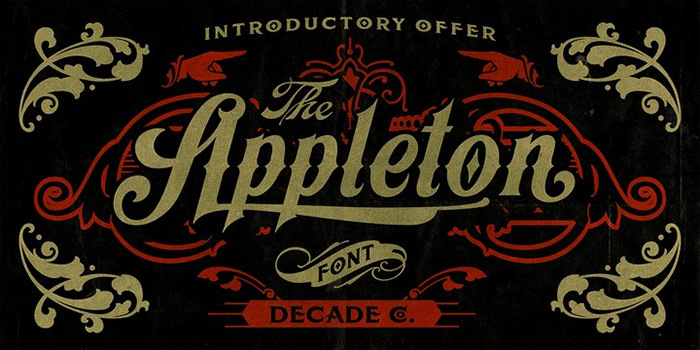 Appleton font by Decade Typefoundry is a decorative italic script with roots in the 19th century America. Full with alternative styles, swashes, ornaments, and multilingual support, it’s a perfect tool for creating posters, luxury packages, logos, and in general – masterpieces of memorable type design. Read more. Bemis font is an elegant debute by Andrea Leksen. We don’t know much about Andrea but we do like her first attempt in font design – The Bemis Font. Read more. 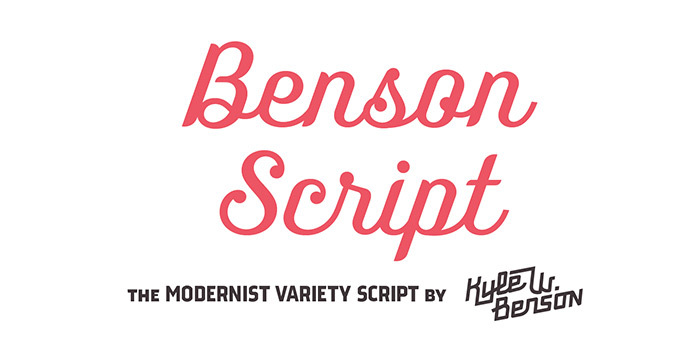 Benson Script font by Kyle Wayne Benson is a hot new interesting and above all fascinating attempt to accommodate under a single roof the antagonistic at first glance principles of the script lettering on the one hand, and of the block letters – on the other hand. Read more. 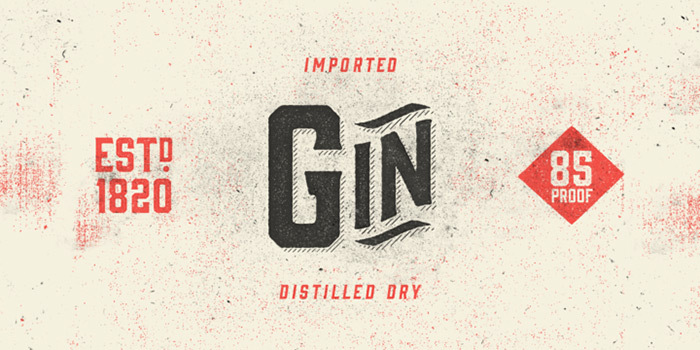 Gin font by Mattox Shuler is a vintage condensed serif inspired by the classic gin and whisky bottles lettering. 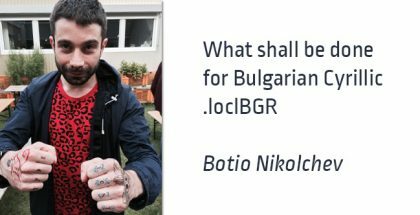 Gin font is distilled in four variations, each coming in two typefaces – upright and oblique. Read more. 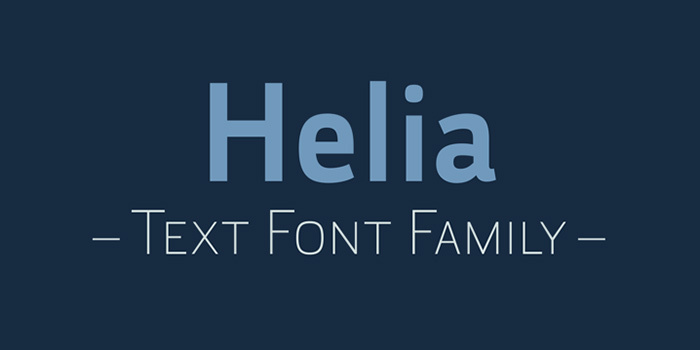 Helia font is a semi-squared sans with a soft and a friendly aspect. It’s less strict, more versatile. It was designed to provides a clear and legible typeface for the designers. Read more. 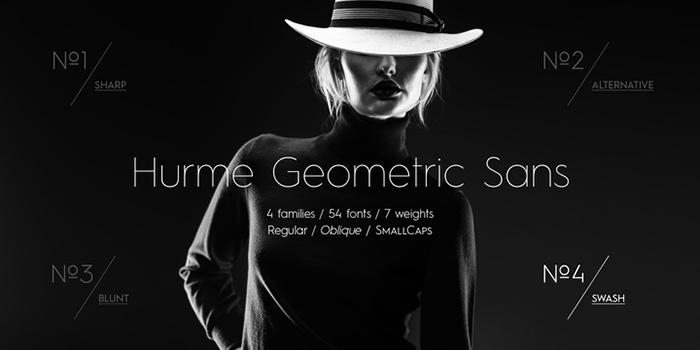 Hurme Geometric Sans No4 font is the most flamboyant of the Hurme Geometric Sans series. Uppercase features simple geometric swash alternates. Lowercase features curved tails, while simpler forms are still available as alternatives. Read more. 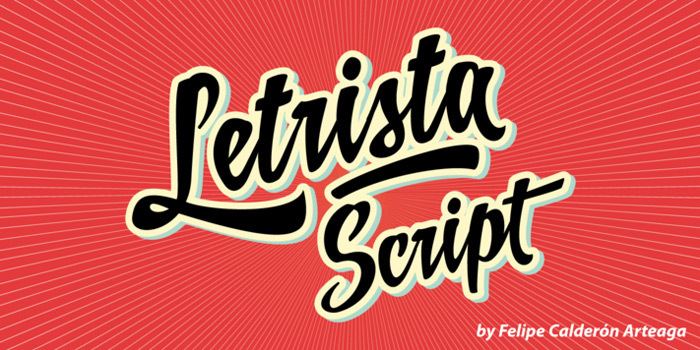 After a year of working and checking with many artists, Letrista Script font come up to the public with the guarantee of being an useful tool in your computer in the design time. Read more. 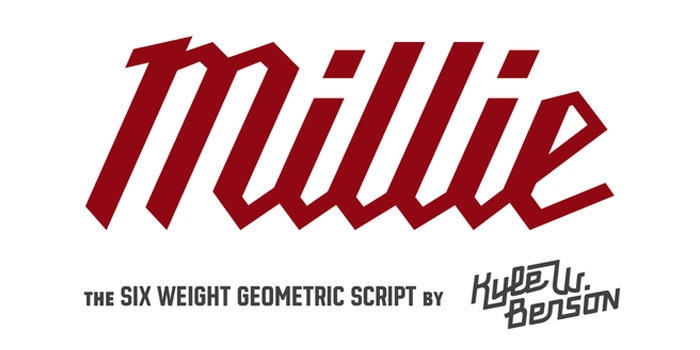 Millie font by Kyle Benson is a slanted geometric script inspired by the Milwaukee Tools logo. 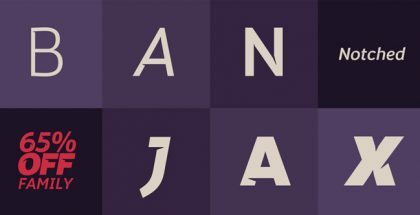 Best suits to logos and titles, especially when used on about a 20 degree angle, though looking fine also horizontally placed. Read more. 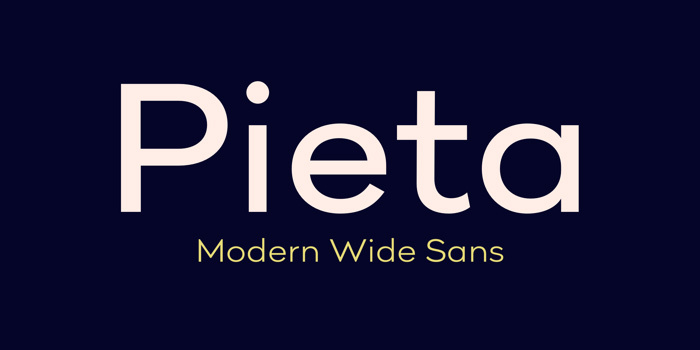 Designed in 7 weights with matching italics, Pieta font is showing excellent readability in all sizes mostly because of its wide apertures and clear geometry. Read more. 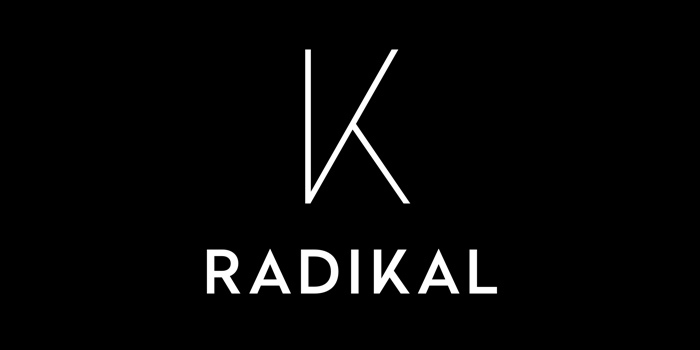 Radikal font is very well balanced font family with wide apertures and clear contours providing indisputable excellent readability even in very small sizes for the ultra light and light weights. Read more. 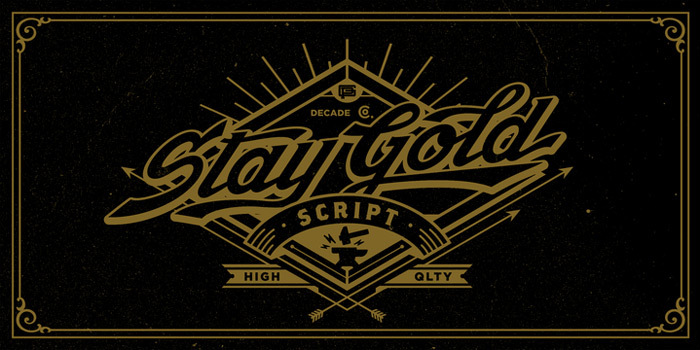 Stay Gold font is an excellent example of how modern digital technology and knowledge can revive a visual experience from the near past. Read more. 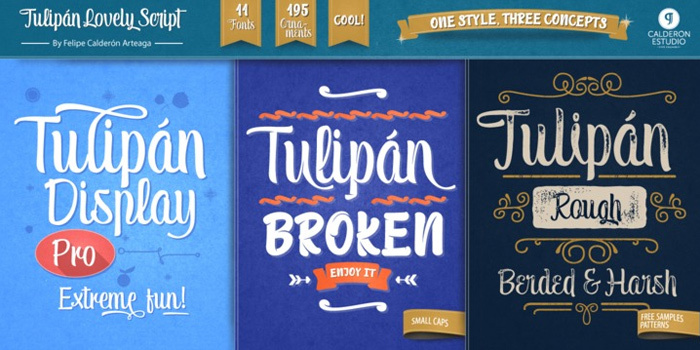 Tulipan font family is adorable vintage-by-soul brush lettering. The typeface intertwines the delicate tulip petal shape with the rough cardboard texture to present its three conceptual variations. Read more. 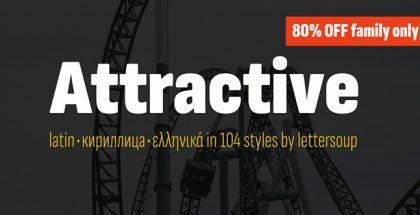 Zulia font is a high contrast brush typeface designed by Joluvian. 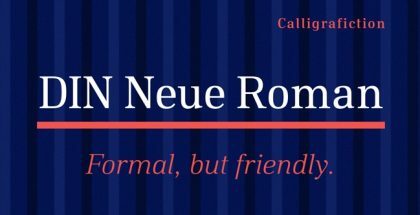 This beautiful font incorporates Joluvian’s love on two favourite calligraphic styles – brush pen and italic. Read more.